The Southern Festival of Books is a three-day book fair celebrated each year during the second full weekend of October. It is free and open to the public. The festival brings in more than 200 authors from throughout the nation and in every genre for readings, panel discussions and book signings. Book lovers have the opportunity to hear from and meet some of America’s foremost writers. 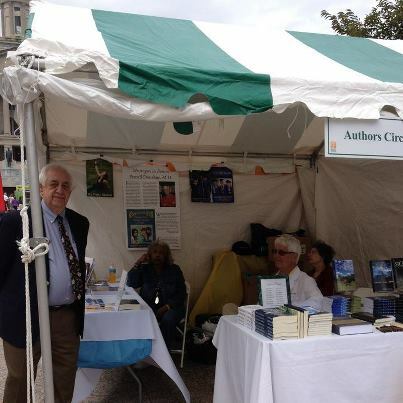 Parnassus Books has the big book tent, where all the featured authors’ books are sold, and the plaza is lined with booth of exhibitors who represent publishers, bookstores, and literary organizations—anything to do with books! I’ve attended as an exhibitor for about ten years, including once in Memphis. I’ve been on panels twice, when I’ve had a new book release. For me, the SFB is a place where I run into others in the greater literary community that I see perhaps only once a year—at the SFB. It’s a fun and fulfilling venue for a writer—listening to other writers talk about their books, about writing, about the publishing industry, about common pitfalls, about changes in life and the impact on TIME for writing. It’s a great place to meet new writers, to network, to learn about trends…to get inspired. It’s a place where emerging authors can position themselves alongside established authors and ride on coattails of the already successful. It’s a place for vying to be included in the clique, the sorority for writers, for looking and dressing the part, for seeking recognition as a writer worthy of being published. I don’t care about all that stuff. I’m a loner. I just do my own thing. I’m there because I like books, I like writers, I like readers. And this is a place where Lit Happens, as my T-shirt says. And so this year, I claim a chair in the Authors Circle booth, featuring writers of Williamson County — a great corner spot across from Parnassus, good for traffic, good for talking to passersby, good for making connections.